California burned. Governor Jerry Brown blamed “global warming” and any other excuse the media would buy. That isn’t the real cause. In fact, California fought fires and regulated the forests for 60 years until their fires were unfightable. Politicians and special interests from San Francisco and Los Angeles determined the lives of people who lived..and died..in the mountains and forests. This is what the politicians and special interests created. This is what the their regulations left behind. California regulates forests and rangeland in uncountable ways. They said you have to clear away brush, but also said you can’t clear brush. They said you must manage timber, but then made it impossible to manage timber. 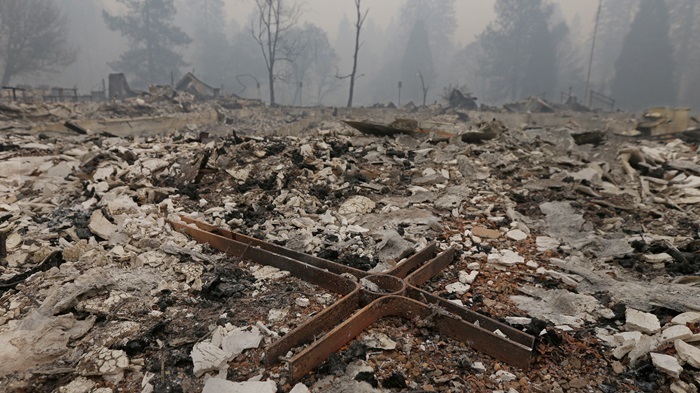 The recent fires in California left at least 88 people dead and hundreds are still unaccounted for. 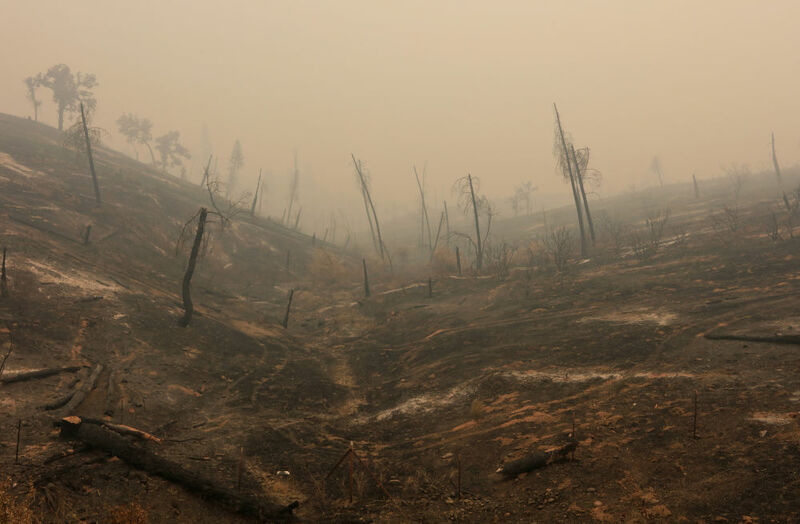 These fires destroyed over 8 thousand structures and consumed hundreds of thousands of acres of timber and rangeland. We have a name for it when unaccountable bureaucrats and politicians regulate the lives of people they know nothing about. This is Socialism. This is Socialism where you need state permission for every action. Under Socialism, the state controls industry and controls the actions of private citizens. The state tells you what you can and cannot do, who you must pay, and what you can charge. The state also levies penalties on its political opponents. That is what California did to its forests. Who owns California forests? The state owns most of them. The state also controls many of the private timber lands. Thanks to the government, you can’t build roads. That means you can’t harvest your timber or even harvest the state’s trees. Special interests wanted to take the profit out of land management, and they succeeded. Many acres of forest are now uneconomic to manage because of government regulation. Forest lands are often given to the state after the state imposed environmental controls on private lands. That doesn’t solve the larger problem of managing the land. There is no incentive to be good stewards of the land since the land doesn’t benefit anyone in particular. No politician will lose his job because they mismanaged the forests. If you do want to harvest your own timber, then you have to pay environmental greenmail to politically connected special interests. You can’t burn the underbrush without a state approved plan. You need state permits to thin stands of timber and to harvest them. You have to pay your lawyers fees..and the fees of the special interests who object to everything you do. If you finally get a permit to have a controlled burn, then the state regulates the fuel height and fuel density. It regulates the allowable soil moisture content, the humidity and the air quality. You need the right wind speed, wind direction, and the right weather forecast. You need your own crews to set and control the fire, and build firebreaks. You can’t burn unless the state has backup crews to fight the fire if it escapes the prescribed area. It may take 10 years to find the right conditions to burn 5 years of fuel. That means you can never burn when you want to burn. You’re perpetually fighting a landscape with dense and highly combustible fuels. Nature doesn’t wait for bureaucracy. Nature imposes a solution of its own. Instead of thinning low brush and clearing away diseased trees, the eventual wildfire consumes everything. This is what happens when politicians and special interests control our forests. This is the Socialism that California citizens voted for and politicians built. Winter rains will wash away the burnt-bare hillsides, but thank goodness we didn’t harvest the timber. California leads the nation in poverty because people can’t find jobs. They also import timber because Californian’s can’t harvest the trees in their own backyard. We’ve seen socialism fail for the last century. We’ve seen California forests fail for the last three decades. Things don’t change because the status quo satisfies the special interests, and trees don’t vote. That is Socialism. There is the lesson we can learn. than let industry manage their own lands. Millions of people voted for more of the same in the last election. That should frighten us because politicians and special interests may burn down the everything before the voters learn their lesson about Socialism. Just like the California fires, lives are at stake. 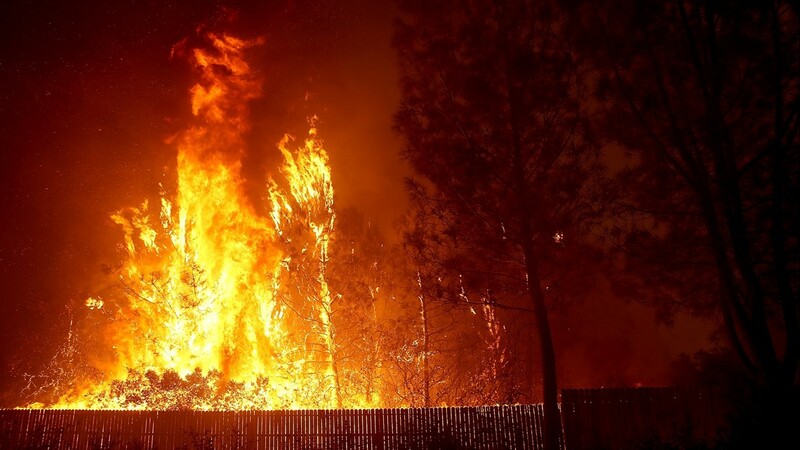 Environmentalist Policies Are Exacerbating Wildfires. It’s Time to Rethink Forest Management. Your speech is powerful and shows depth of thought. The Bible tells us things will get much worse before Jesus returns. What is your plan and do you have one to share with your readers? May I suggest the keynote address of the everlasting gospel summed up in one verse -Acts 2:38 ? Right on the money. My acquaintances who are left-leaning don’t believe a word of it, even though it is 100% true. They have eyes, but they are blind. Nevertheless, we have to keep trying! As an expatriate from CA, after having lived there on and off for most of my life, I have seen this personally..
It’s really so very tragic and heartbreaking to see the results of this mismanagement in the reportage of the people killed, the homes and lives burned down and forever changed.. While the awful state of CA is so firmly run and led by the insane leftists, sent there by the overwhelmingly insane leftist electorate nothing will change. It will continue to get worse. More people will die. There will be more fires, and more tragic and senseless destruction..
Just had to add my 2 cents worth here.